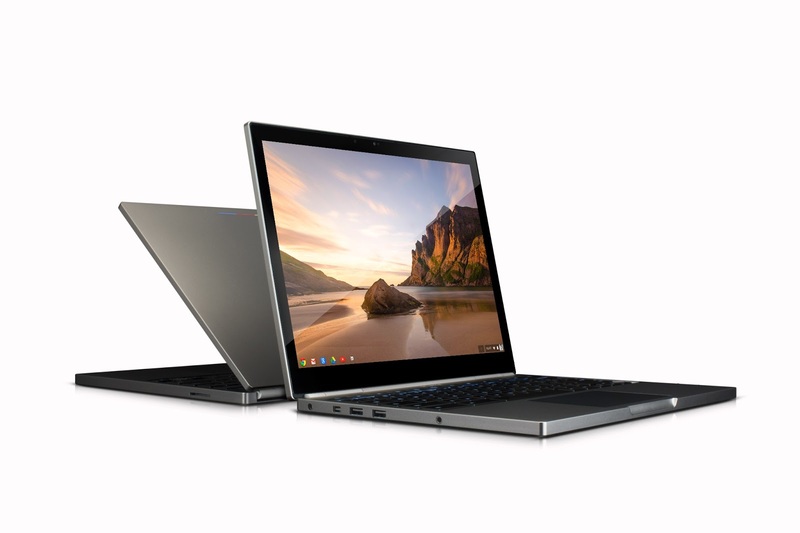 At a press event in San Francisco today, Google has unveiled the Chromebook Pixel, the latest addition to the expanding line of Chrome OS-based laptops. As one of the company’s first ventures into hardware, the Pixel represents a change of direction with Google’s strategy, and the hardware inside shows that Google is pitching it towards a higher end of the market than existing ‘disposable’ models from the likes of Samsung, Acer, Lenovo and HP. The Chromebook Pixel has a 1.8GHz Intel Core i5 processor and 32GB of solid state storage coupled with 1TB of additional Google Drive storage free for 3 years, usually costing $49.99 per month. A 720p HD webcam sits above the market-leading 239ppi 12.85″ 2560 x 1700 touch display and, with its £1,049 ($1,299) price tag, the machine is being pitched as the world’s first premium Chromebook, and the company will be shipping it next week via Google Play and through retail partners, with a $1,499 model with twice the internal storage and support for Verizon’s LTE network set to hit US stores in April.